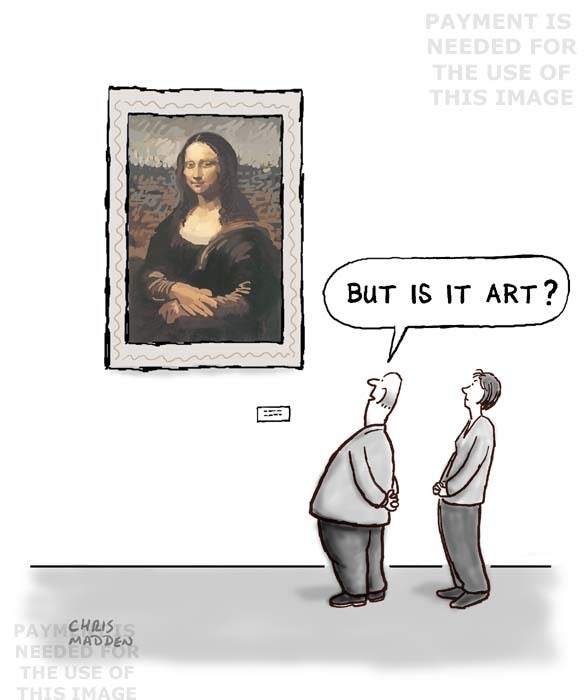 A cartoon showing visitors to an art gallery looking at a painting and asking But is it art?”, the cliche expression used when the definition of art is brought into question. The joke is that the painting that is being questioned is the Mona Lisa by Leonardo da Vinci. What would these gallery goers consider to be ‘proper’ art. Maybe ultracontemporary art?